With additional funding in hand, Kaslow and Aglialoro set about producing Part II under even more stringent time constraints than they dealt with on Part I. They hired Jeff Freilich, a Hollywood veteran with a long list of producing credits, to physically produce Part II. 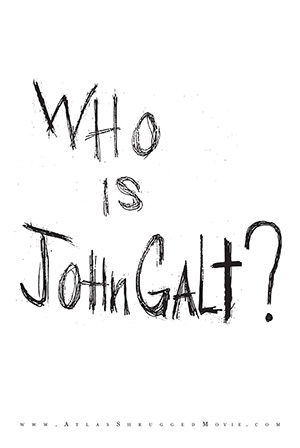 Despite the additional expense and California's well documented anti-business environment, Aglialoro decided to again produce Atlas Shrugged in Hollywood, which traditionally offers a larger pool of available, experienced and talented actors and crew. Concurrent with the production challenges, Atlas Distribution was deciding how to get the movie in theaters and get movie-goers to see it. They hired Bill Lewis - formerly with Summit Entertainment and responsible for booking the hugely successful Twilight motion picture - and Russell Schwartz - formerly of New Line Entertainment and responsible for the Lord of the Rings theatrical marketing to secure the theaters and market the movie. Part II played in 1100 theaters and more than 1500 television advertisements were purchased that played on the Rush Limbaugh, Glenn Beck and Sean Hannity radio shows among others. 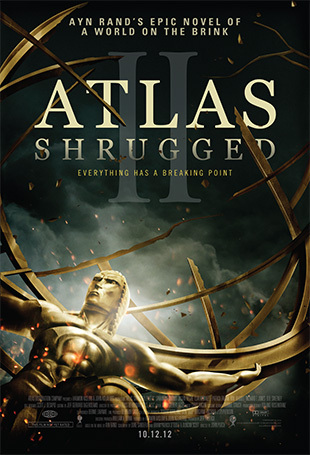 Despite these efforts, Atlas Shrugged Part II underperformed in theaters, although the movie did receive recognition from The Moving Picture Institute (awarded - Best Adaptation of an Impossible to Adapt Film) and Accolade Winner (Award of Merit). So late in 2012, Aglialoro again faced a dilemma: was making Part III throwing good money after bad? After speaking with the Part II investors, all savvy businessmen, they unanimously agreed to commit their share of Part II proceeds to the making of Part III in an effort to spread a message they believe can change the world. And so, on February 2, 2013, Aglialoro and Kaslow, without the time constraints faced in producing Part I and Part II, began the process of producing Part III to complete Atlas Shrugged trilogy. They say an early date estimate is Friday, July 4, 2014.